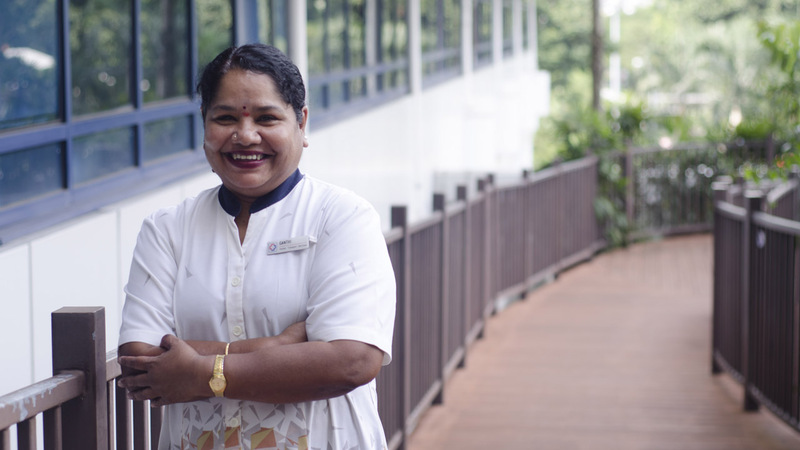 Suba Kumaran was only 16 years old when she left school for the workplace. 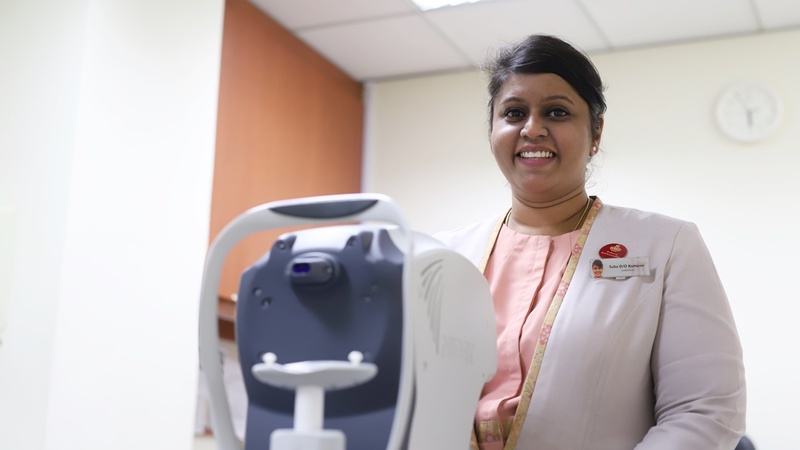 Encouraged by her diabetic mother, whom she helped care for by assisting with insulin injections and dressing surgery wounds, Suba first joined the healthcare industry as a clinic assistant at Tan Tock Seng Hospital (TTSH). 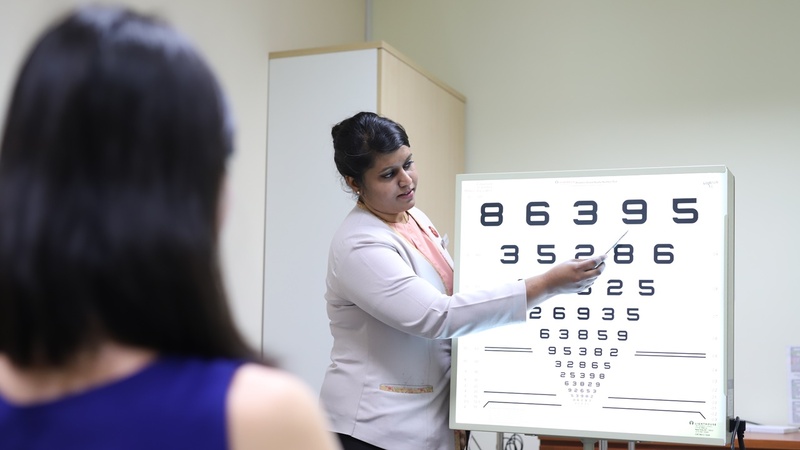 What began as a means to support her family eventually developed into a 24-year career where Suba climbed the ranks to become a patient service supervisor at Tan Tock Seng Hospital’s eye clinic. As medical science progressed, work in a hospital evolved correspondingly over time. For Suba, this came in the form of technology in the workplace. “Technology has changed the work we do. Everything used to be done manually with a lot of paperwork, whereas now everything is done digitally with computers. It’s been a vast change,” said Suba. 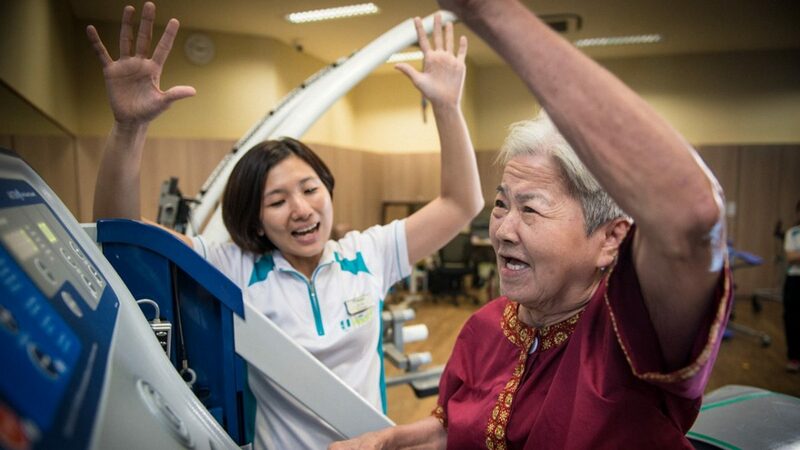 “The change was not so scary for me because I was already used to interacting with patients. I just had to learn how to use the computers,” added the 40-year-old. 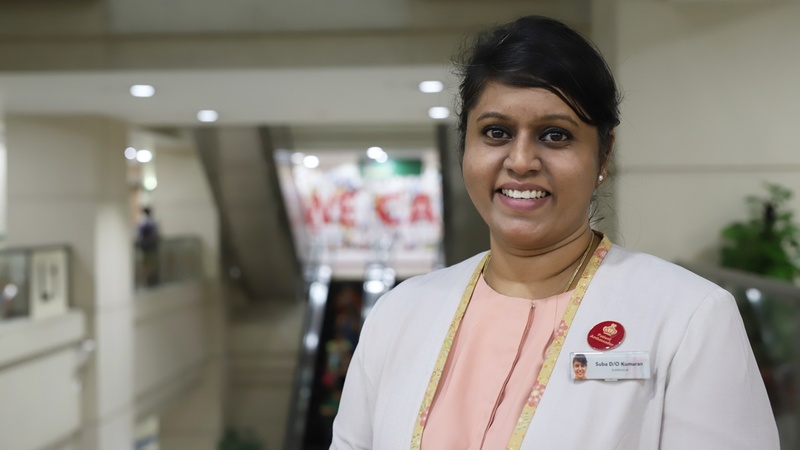 Through the course of her career, Suba had also been through other changes, such as transitioning from clinic assistant to patient service associate (PSA) and later picking up new skills to progress even further in the job. “When I was a clinic assistant, I spent my free time observing how my patient service associate (PSA) colleagues processed registration and admissions. Through that, I got to understand that the work wasn’t as difficult or complicated it appeared. The hospital makes sure to send us for training before implementing new systems or transferring us into a new role,” recalled Suba. With regards to other roles such as handling cash, tallying accounts and scheduling patient appointments, it was just a matter of practice before she got used to the job. Plus, all new PSAs can count on a buddy for guidance and support. PSAs like Suba have taken on routine clinical tests to help alleviate the nurses’ workload (Photo credit: Jonathan Tan). Recently in 2013, TTSH’s PSAs like Suba got to benefit from a job redesign initiative that was supported by NTUC’s e2i (Employment and Employability Institute). This saw a series of 12 Value Added Skills (VAS) developed for PSAs as a means of expanding their job scope and career development opportunities. It also helped alleviate the workload of nurses as PSAs are able to assist with some clinical work. “I was excited [by the opportunity to learn VAS] because it let me expand my job scope to include nursing work, such as doing electrocardiograms (ECG) for patients. This was a change from the administrative work I used to do and now includes being able to serve patients in a role usually reserved for nurses.,” said Suba, who has picked up five VAS skills so far. Besides being trained in performing ECG for patients, she’s also skilled in helping patients with a variety of visual acuity tests. “Patients have more confidence in us because we have more knowledge of the different roles in a clinic. Being able to make a greater contribution also helps in our appraisal and this translates into a bigger annual increment and better bonus,” added Suba. “I believe that service comes from the heart and if you are able to help someone, that will be very satisfying. I love interacting with patients. 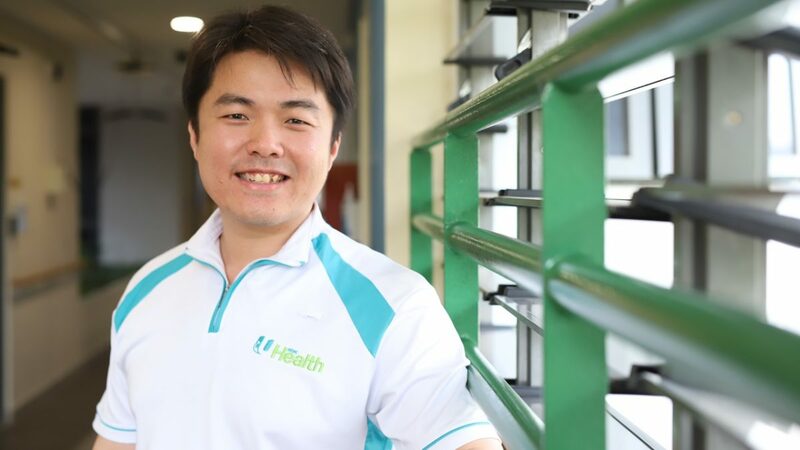 I treat every patient like my own family and I give them the same kind of care that I would give to my parents,” shared Suba (Photo credit: Jonathan Tan). “I believe that service comes from the heart and if you are able to help someone, that will be very satisfying. I love interacting with patients. I treat every patient like my own family and I give them the same kind of care that I would give to my parents,” shared Suba. The mother of three also added that she is very appreciative of the support and recognition from her manager, colleagues and the hospital management through her career. This support has also yielded success in other areas. Suba recounted how a younger colleague had taken up the various VAS and eventually made the career transition into nursing. Other new PSAs have also gone to Suba to express their interest in taking up the VAS. “With the VAS, my colleagues can also look forward to taking on different assignments in the clinic apart from their regular administrative duties. It’s a ‘break’ from their regular work and is still focused on serving patients, but in a different scope. “Age is never an obstacle because you are never too old to learn new things,” added Suba.